Love the art style! Will it be several of the same size blocks, each with a different character? Thank you. I plan on having all of the main characters from Lion King and pride rock , so when finished it should have 15 blocks in total. It's so amazing!!! I always wanted to make a quilt!! You'll have to post the rest when you're done with all the squares!! 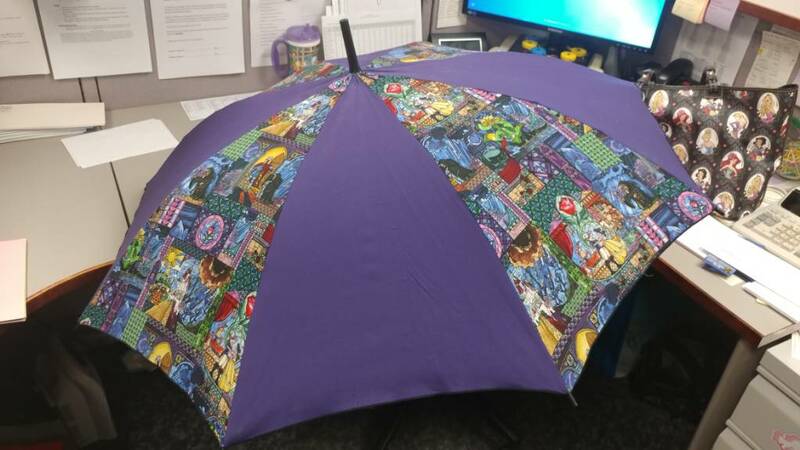 So, my friend made this umbrella for me. I had to show it off! It's amazing that she actually MADE it! Who makes umbrellas! ?Fabric with the stained glass scenes from Beauty and the Beast as accent panels and she says she sprayed it with a waterproofing spray. It's raining out here in Washington (big surprise) and I don't usually use an umbrella, but I'm going to now! bcol, LadyBarclay, Sami and 6 others like this. Yes and such an awesome umbrella too! 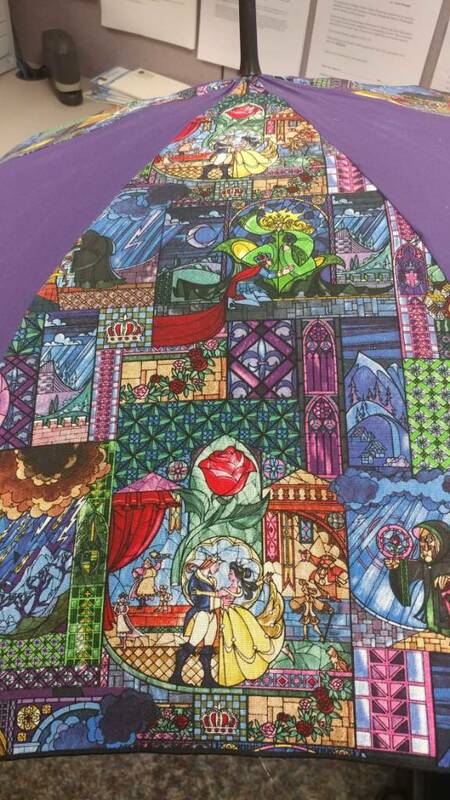 I have that BATB fabric and have been waiting for the right project for it. I don't think I could pull off an umbrella, though. That is beautiful! That's talent! Talk about instant business. I'd be first in line! OMG!! 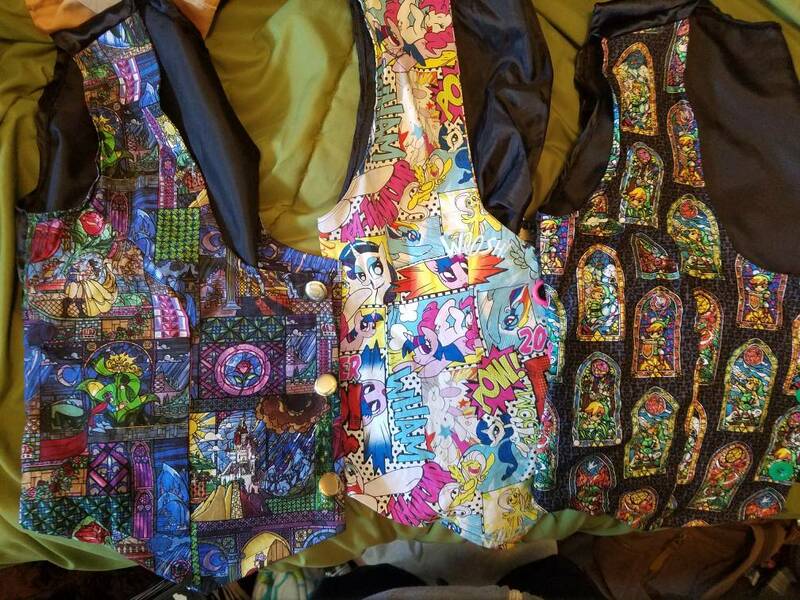 I just made a vest with that same fabric!!! That's pretty dope, who does make umbrellas? I loved that fabric, it's almost all of the stained glass from the storybook in the beginning of the movie! Ooh! A vest! That probably looks so cool! LadyBarclay, Disneychildwithin, watzshakinbacon and 1 other person like this. OMG! I love all of those! That is amazing! I used to wear vests like that with Bugs Bunny and friends. But they were store bought, not handmade. I am so impressed! Everyone is so talented here!! Umbrellas, vests... what will we think of next! So talented! Are you designing your own patterns to paper piece? 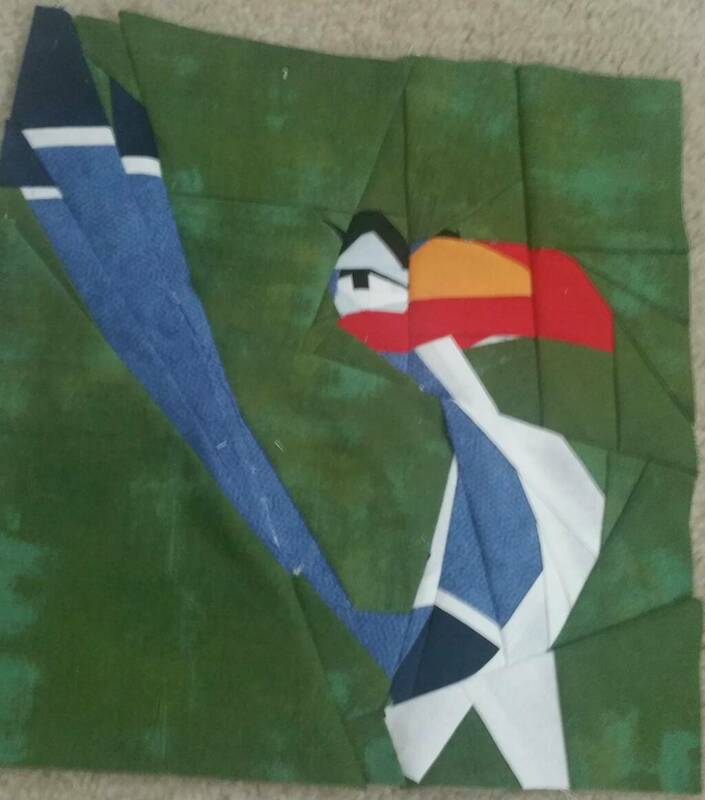 I took a paper piecing class years ago and it was a lot of fun to do. Sami, LadyBarclay, Papaya and 1 other person like this. Great job! 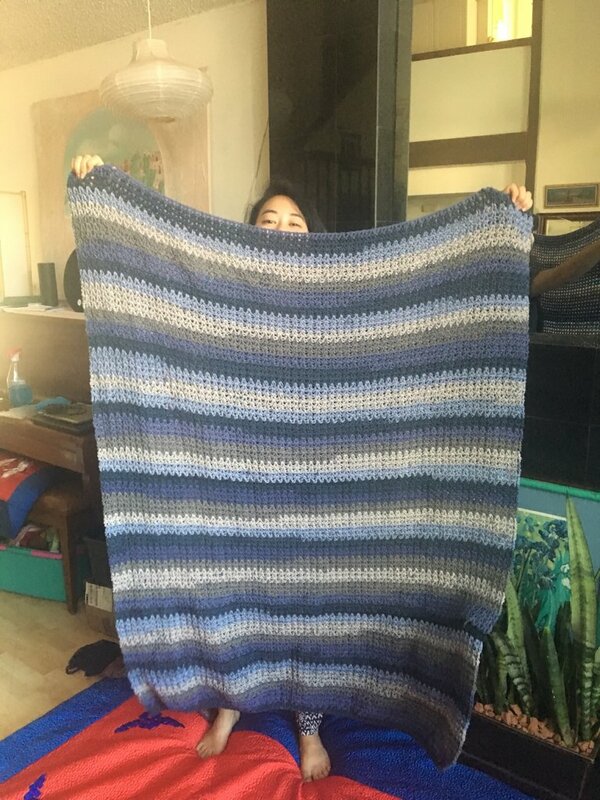 It looks like a wonderful cuddle blanket! 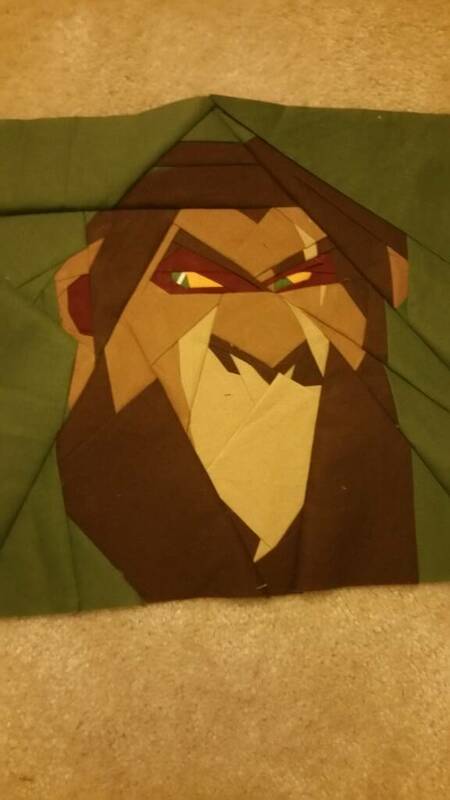 I've finished scar (well I need to add his mouth/whiskers). I'm still debating if I like his eyes. Hopefully Ang won't be too picky! timeerkat, Sami, LadyBarclay and 2 others like this. Love that Scar. @watzshakinbacon...did you change yarn? or did you use variegated yarn? Either way, I love the colors! It looks great!